Read about Sir Lancelot and then take the poll to the right! 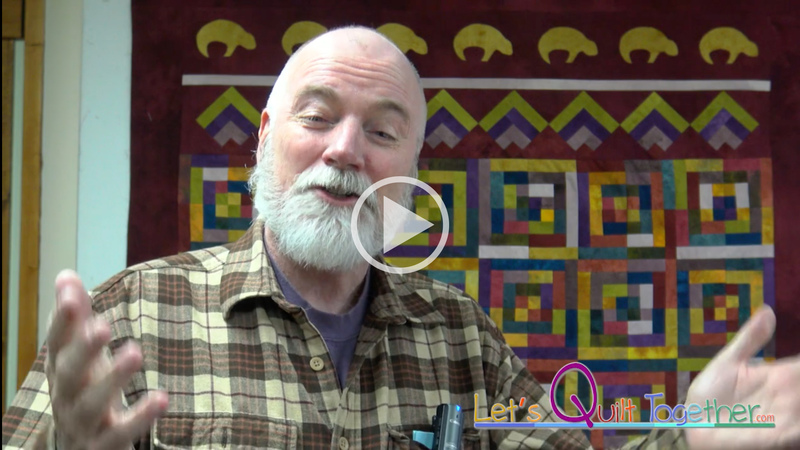 This is the 2nd in Ricky's Arthurian Legend Quilt Series. Meet Sir Lancelot! We will begin offering the kit and pattern by the end of October. 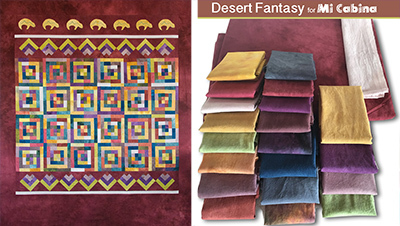 Take the poll to help Ricky determine pre-sales interest in order to know how much fabric to begin dyeing for the kits. 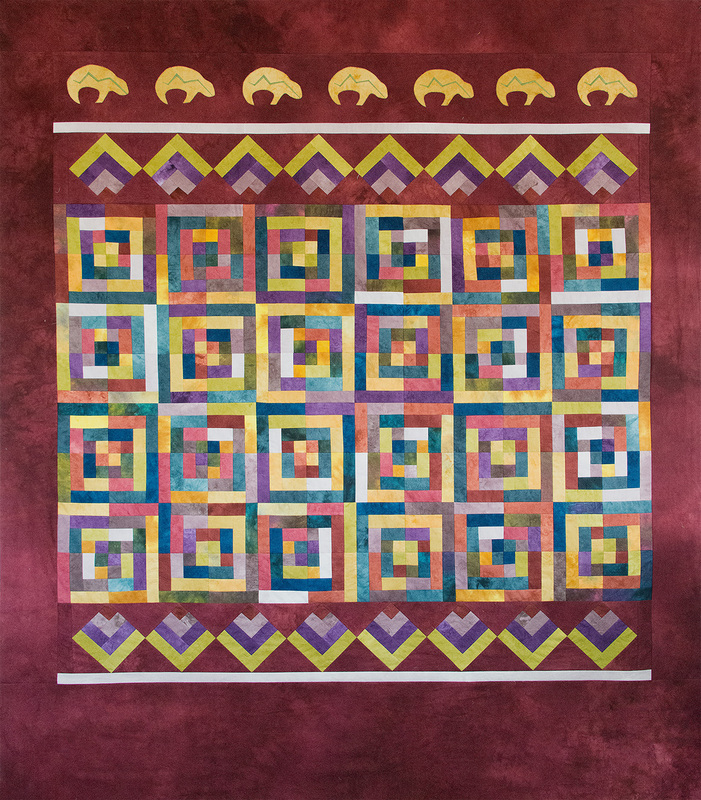 Ricky designed this quilt in elegant, low-contrast and rich autumn colors. 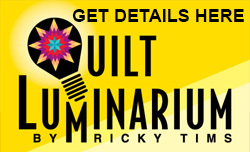 It was made by Ricky's late father, Richard Tims, and quilted by Dana Lynch. 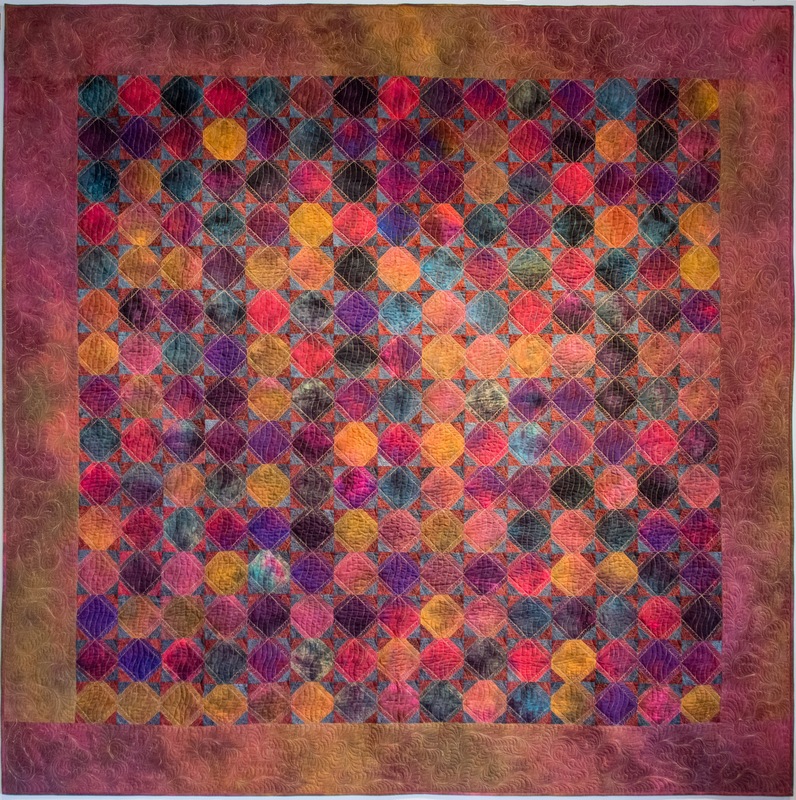 It is based on a snowball design and only uses two sizes of squares to make the quilt. It's easy peasy - but still stunning! It measures 83.5" x 83.5". 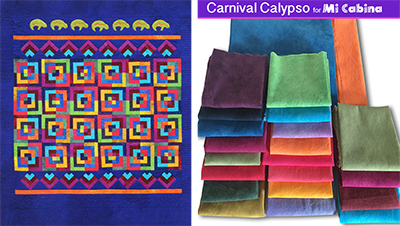 • PRE-CUT SQUARES from Ricky’s hand-dyed fabric (11.5 yards total) - includes border and binding fabric. • The pattern (also sold separately). The kit is a $339 value but will be offered for ONLY $239 - which is 30% off. The kit value does not include the cutting and packaging time. Just think of the time you will save by not cutting anything other than the borders and binding for this project. 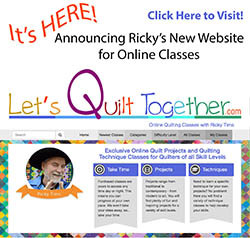 Ricky will also have video lessons to accompany the project. Woohoo! I'm very excited to share with you some wonderful events happening in La Veta this coming June! 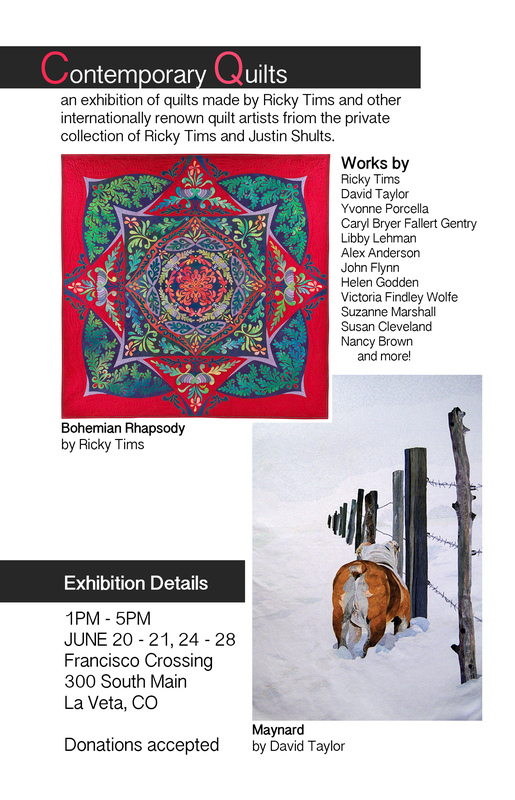 You'll want to mark your calendars and plan a visit to our unique little mountain town to see a local production of "The Quilters" and a special exhibition of quilts made by world renown quilters such as David Taylor, Alex Anderson, Libby Lehman, myself and more! 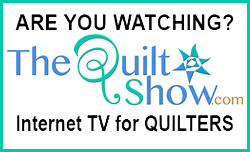 Justin Shults and myself have collected quilts over the past decade or so. The quilts on exhibit are from our private collection. For tickets to the play, visit the website for the Francisco Center for the Performing Arts in La Veta. 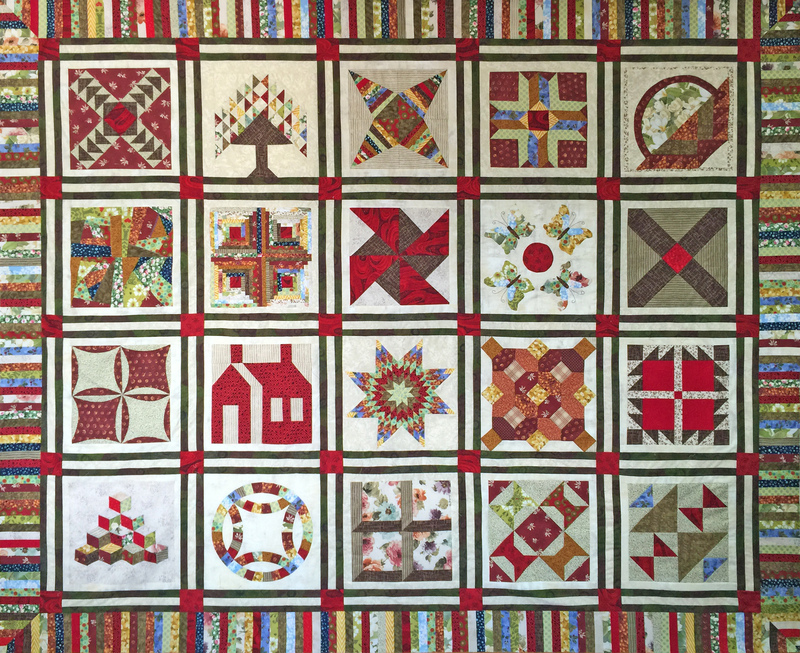 The play features “The Legacy Quilt” which I designed (shown below) and was made by members of the Colorado Quilting Council. The quilt will be raffled at the end of the last performance and all proceeds will go to the Francisco Center for the Performing Arts.